Our Care division was launched in 2009 and has grown substantially since its launch. In the last 12 months we have provided both temporary and permanent staff to over 170 establishments. Why is this important to you? Because it demonstrates that we have the ability to provide you with opportunity; opportunity to find the right job for you or for you to be able to get extra hours of work each week when your existing employer hasn’t provided you with enough shifts. That work begins from the moment that you apply to work with us and we can often place a candidate into a suitable position within 24-hours of first meeting them. 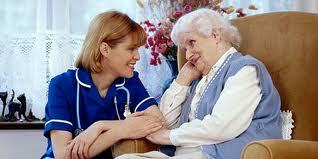 If you are searching for Care Home jobs we are the Agency to contact!